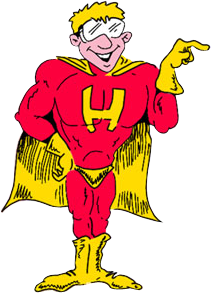 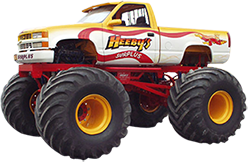 Steve's Bathroom | Heeby's Surplus Inc. 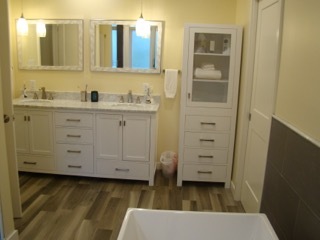 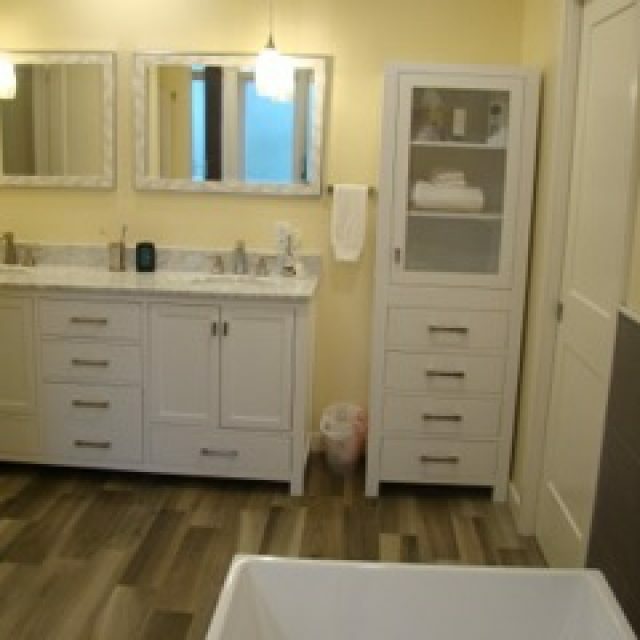 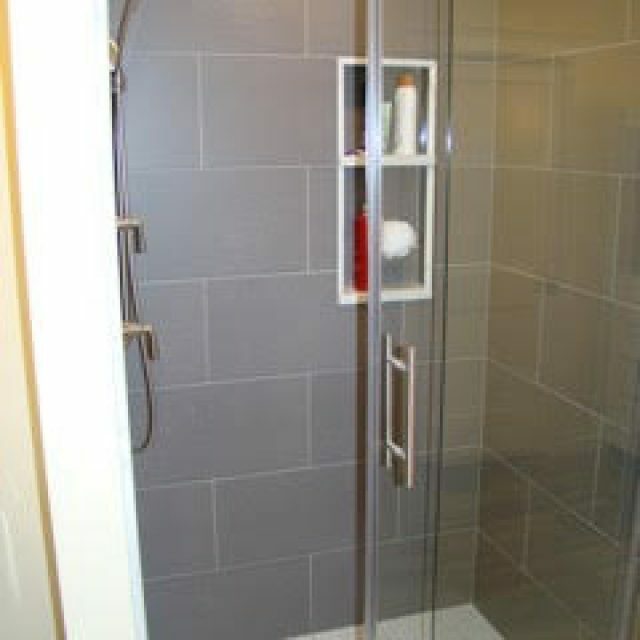 In his new house, Steve redesigned his bathroom using our Wood Grain Grey Floor Tile. 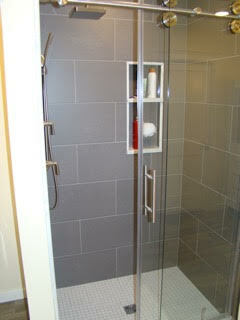 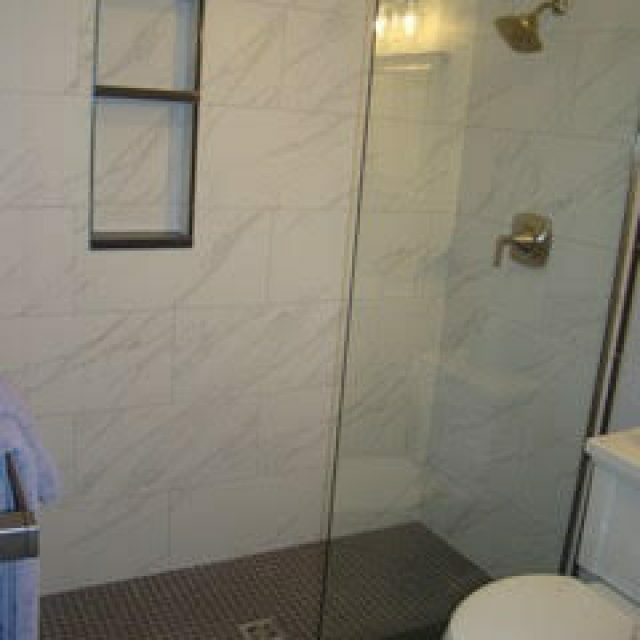 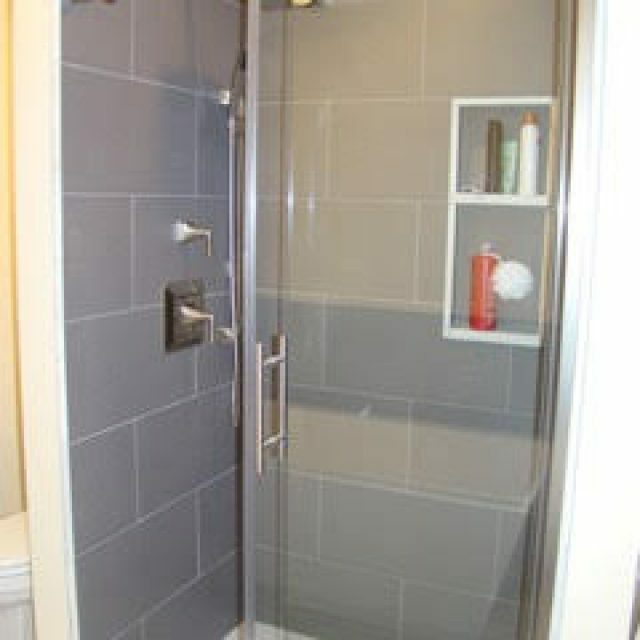 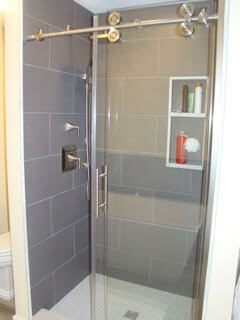 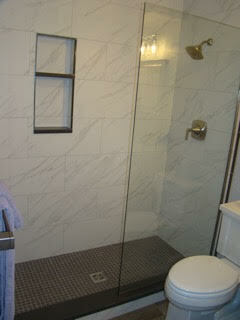 He completed his new ready-to-tile shower shelf with our $1.99 surplus special shower tile. 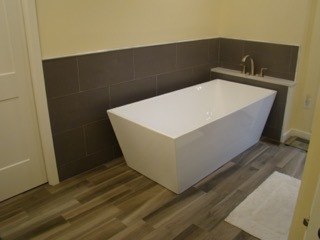 The final piece of this remarkable bathroom was our freestanding tub.